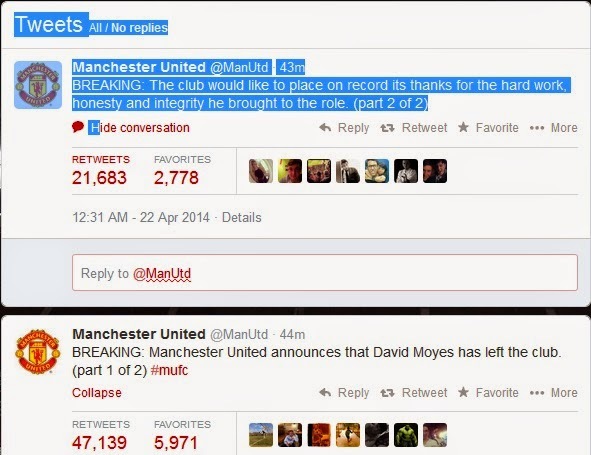 Manchester United manager, David Moyes has been sacked by the club this morning. This follows an abysmal season where United will not win any trophy and are certainly out of the UEFA Champions League for next season. Many of the clubs fans had been unhappy with the poor results under David Moyes and it seems a 0-2 defeat to his former club, Everton proved to be the last straw that broke the proverbial camel's back.